1. Assign a lower number to the virtual COM port. Windows may list all the lower COM port numbers as in use. physically available and you may find a lower port number. and adjust settings in ComDebug. 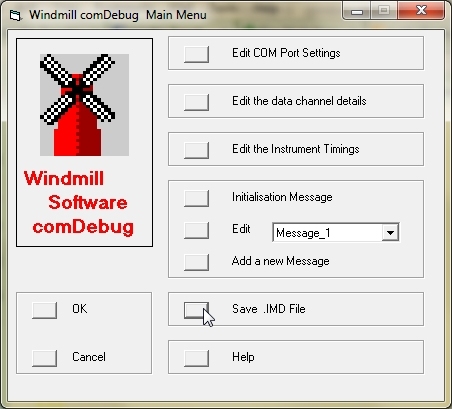 select Save .IMD File from Main Menu. this and then write in the data. collecting data in a worksheet called "Sheet1". 1,048,576 in Version 10 of Excel. column A - eg Cell A65536. first cell above which contains data. the first empty cell in Column A. To stop this macro press the Esc key. 'number of columns needed to store the data. 'Inserts data from the array into a row of cells in Sheet1. defence, security, industry and the environment. Conference for medical equipment manufacturers. and agile approaches to electronic device development. sensors and instrumentation and drives and controls. Fair of sensors, measuring, and testing systems. for reuse, repair and recycling. Incorporating Metrology and Automation Vietnam.